It’s been a few weeks since Eve Vegas, and over and over again I have sat down to try to compose my thoughts from the amazing weekend. But I’m not going to lie, I just lacked the motivation after first getting sick with the flu, learning of the passing of BigCountry and now, just yesterday, learning that the CEO of our alliance, Targamarr, passed away by taking his own life. I’m not even sure how to really write this but I really wanted to get my words on paper just to get them out and share them. Eve Vegas this year was my 5th year attending and I can say that it is on the top of my list as being one of the best years. I got to meet more amazing people and also reacquaint myself with people that I have seen in the past years as well – hang out, have drinks, and share stories. This experience of just being with the people that we hang out in comms and ingame is what makes Eve Vegas what it is. The panels, store, and demo’s are just an added bonus to the experience. This was also the first year I didn’t feel rushed every night to do everything since a very good and amazing friend had let me room with him so I didn’t have to rush back and forth between the convention and home. I was actually able to go out and do all the late night events and even hang out at the heart bar (the central gathering place for meeting up with corps and alliances). The last day of the convention is when it starts to set in that the event is coming to an end, but little did we know how true that shake back to reality was going to be this year. A few days after Eve Vegas, was a post sharing news of BigCountry’s passing; a well known member of the Eve community, famous for the Open Comms Show on TMC; but for me, also a friend and former co-worker. This news hit me pretty hard and I can say that I was a mess to say the least – but it was amazing to see how the community had come together in his passing to remember him. Fast forward to today, almost a week later, my alliance got shaken up as well with the passing of our alliance CEO, Targamarr. We learned that he had not only passed away, but that he passed away by taking his own life. “We are deeply saddened to tell you about some extremely shocking and sudden news that we were given this morning. Targamarr (executor of The Methodical Alliance) aka Toby has passed as of Monday night. We were notified this morning that he had taken his own life Monday evening. At this time the family is asking for privacy, as they deal with this shocking and terrible news. The family is currently working towards gathering funds for his funeral arrangements. This is very difficult psychologically and financially on his family who has already been facing the hardship of his wife’s terminal cancer. Please take a moment of silence for him and his family. Targamarr/Toby was well known through the back halls and channels of Eve, as a great diplomat, cool head and always had a kind word for others. He had an infectious attitude and outlook on life. Where many others in eve exploit the smallest of weaknesses, Targamarr always found the good in people. His laughter and counsel will be missed. 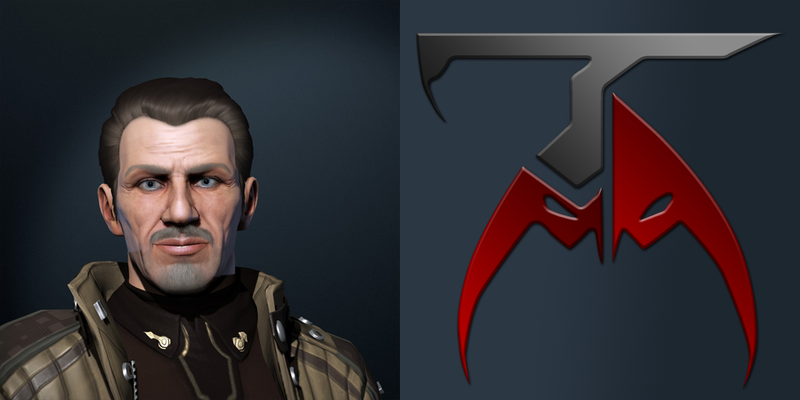 Targ/Toby was in his late fifties and played eve for quite sometime, the last 6 years as the leader of the methodical alliance. We are asking that if anyone has any thoughts of suicide, depression or hurting themselves or are facing other equally difficult situations in life that you need help with in real life, please seek out one of your leaders; myself, acks or Twisted. Spam 4 Heals – The official non-profit for Broadcast 4 Reps.
#BroadcastForReps – #Broadcast4Reps – tags used on Twitter and Facebook. The Best of Us – Support for Military and Veterans in the EVE community. Highly recommended for us veterans. The Outlander “The War Within” – A community group for those dealing with PTSD. We need to pull together as a team and not let this divide us during this difficult time. We value each and every member of this alliance and need you to be strong as we remember our fallen friend and move forward in Eve. This news hit me so hard as well, and even sitting here, I’m not sure how to make sense of everything. All you can is try your best to remember your friends. I didn’t know Targamarr as long as I did BigCountry, however that doesn’t make the pain any less and knowing that we just lost another amazing member to our community and a great friend. Prior to being in TMA (The Methodical Alliance), my corp was a part of DEEPS (DeepSpace) alliance, where we were both members of the GoTG (Guardians of the Galaxy) coalition. During this time, I was also a part of the coalition leadership and because of that is when I first initially met Targamarr, but I never really got to know him other than being an acquaintance. It wasn’t until later on, about 4-5 months ago where I got to know him more and more. DEEPS, TMA, and NAGA (Nerfed Alliance Go Away) were approached by GoTG leadership and given an choice to merge or to leave the coalition as it was noted that we were under-performing. Instead of leaving, the three alliances decided to merge and form under the TMA banner and become a bigger and stronger entity. The merge I can’t say went perfect, but with that said however, one thing that I remember right from the start is Targamarr and how he always did his best to make people feel welcome and would want to try to get to know everyone. I remember on one of the first days that everyone had merged, he passed in local and stopped to talk to everyone, welcoming everyone into the family, and just kicking back with everyone. Targamarr was always like this though. He was genuine and he made you feel like you were really part of the family; like you mattered. If you had something to say; he would listen to you and do what he said he was going to do. He was a great leader, a great friend, a great person, and he is going to be missed so much! We don’t know who’s going to be the new CEO of the alliance, but no one will ever be able to truly take his place. These comments were pulled from the Reddit Post made by Sort Dragon. He leaves behind his wife, kids, and grandchildren and our heart goes out to them completely. If you knew Targamarr or you just want to support his family during these times, please consider helping through his wife’s GoFundMe page and give what you can; anything will help. 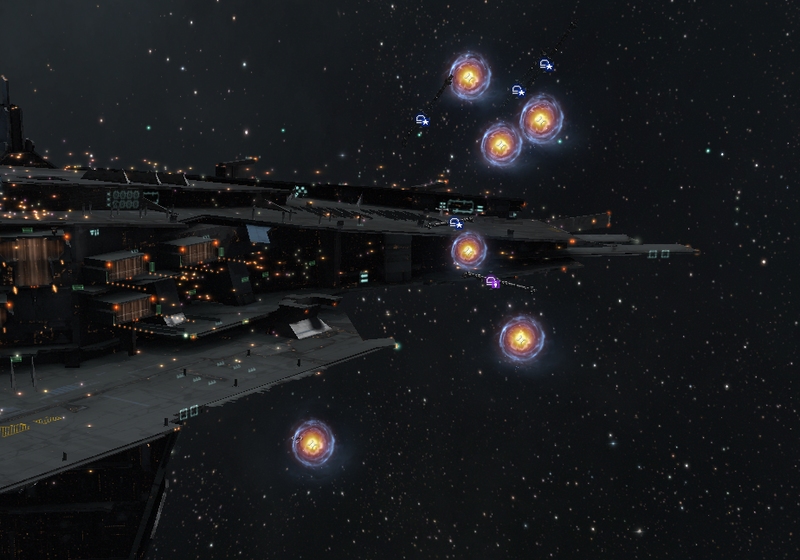 There will also be fleets run in his honor run in conjunction with Spectre Fleet and TMA on Sunday November 13th, 2130 Eve Time. This loss still hurts more than the amount of words that I put on this, but please remember that you are NOT alone! Reach out if you need to talk to someone, you are important! You are appreciated, and loved. Erika officially started her Eve career in 2011 after having been introduced to Eve through Eve Radio from DJ’s and listeners in the IRC channel. Nowadays, she's an established industrialist, a manager at EVE Radio, and active in the community.